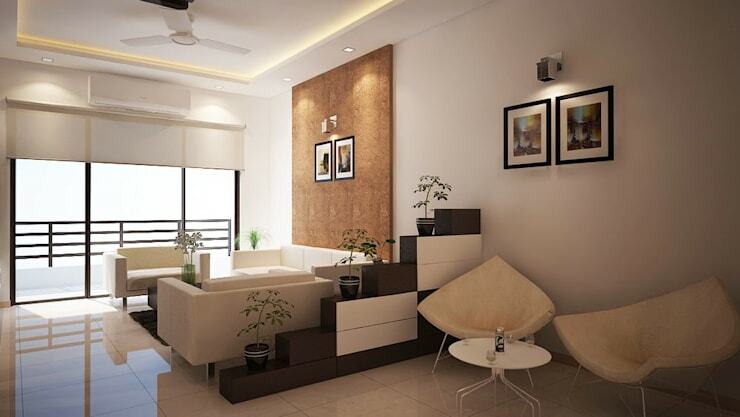 Today on homify we head to the sunny country of India, to check out a Bangalore-based home. As one of India’s fastest growing technological hubs, Bangalore, known as the Silicon Valley of India, is home to some truly interesting properties and residences. 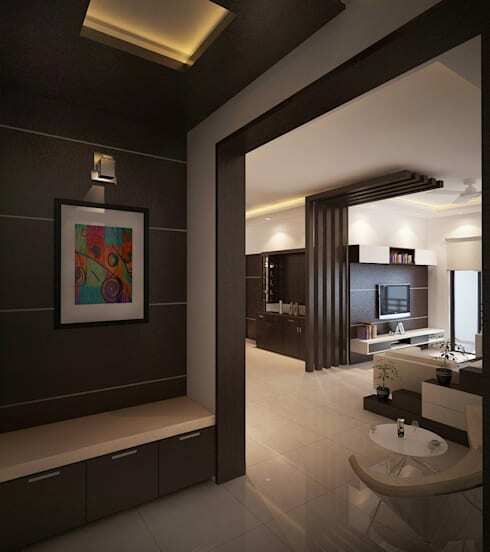 Adarsh Palm Retreat is a highly sought-after dwelling, which comes replete with a handful of luxurious and opulent additions, as well as a lavish interior aesthetic. The colour palette is a range of dark earthy hues, paired with lighter tones and textures of white, timber, sand and ecru. To offer a sense of Bangalore’s vibrancy, the designers, Ace Interiors, employed unique and trendy accents, along with subtle lighting, and vibrant artworks. Sensible, liveable, but thoroughly engaging, this stylish and sophisticated apartment is one of the finest we’ve seen. Let’s find out more, by checking out the images below! Truly one of the most luxurious dwellings we've had the pleasure to take a gander inside, this home features a range of luxury inclusions, lavish accoutrements, and striking finishes. 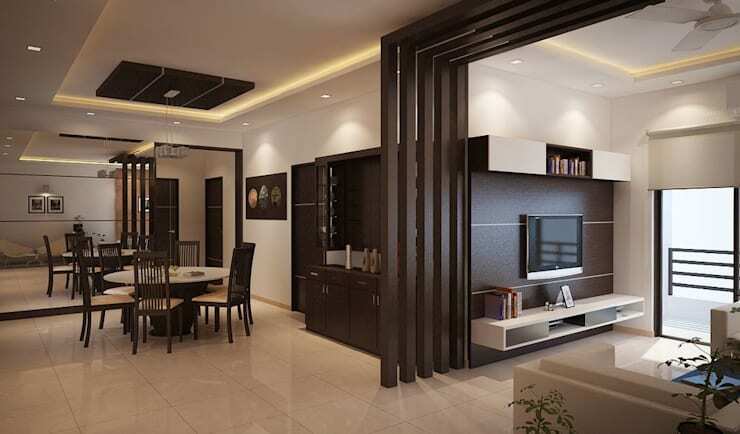 The open plan layout features individual living areas, which are skilfully segregated using the natural configuration of the floor plan, as well as other partitions and materials. To the right we see the living room and television nook. This has been sectioned off from the other spaces by employing a large timber panelled archway. The arch is sympathetic to the other sections of the home, while the gaps in between each panel ensure a continuity and movement throughout the interior. The classic dining room is situated to the left and embraces a circular format, again enhancing the flow and inclusive aura of the home. As we head directly from the foyer into the main area of the home, we are presented with a surprisingly bright and minimalist space. Here the waiting nook can be seen to the right hand side. This offers guests somewhere to sit and wait, while enjoying the comfy designer chairs, and circular side table. Creatively separated from the main living space, this area is essential to the sleek and chic ambience that designers strove to create. The colour scheme within this room is unique, boasting a light-filled range of creamy tones and sandy hues. This works particularly well against the minimalist aesthetic, adding to the sense of luxury and refinement. Moving backwards a tad to check out the foyer and entrance hall, we see the colour scheme shift somewhat. Here the walls are clad in a rich dark timber, with plenty of indirect light to offer a subtle and inviting entry. It is easy to tell that this dwelling has been thoroughly considered, as each area of space is either utilised efficiently, or left blank purposefully. The built-in bench that greets us upon arrive comes replete with drawers to house shoes, while there is also an upholstered seat above to sit and rest if necessary. The kitchen follows the same colour scheme as the rest of the house, and offers a space-efficient area to cook and prepare food. The U-shaped layout works brilliantly with the structure and shape of the dwelling, providing a chic breakfast bar, and smart yet functional aesthetics. Wow! As if this home couldn't be any more inviting and impressive, we head into the bedroom and are astounded by the luxurious, eye-catching aesthetic. 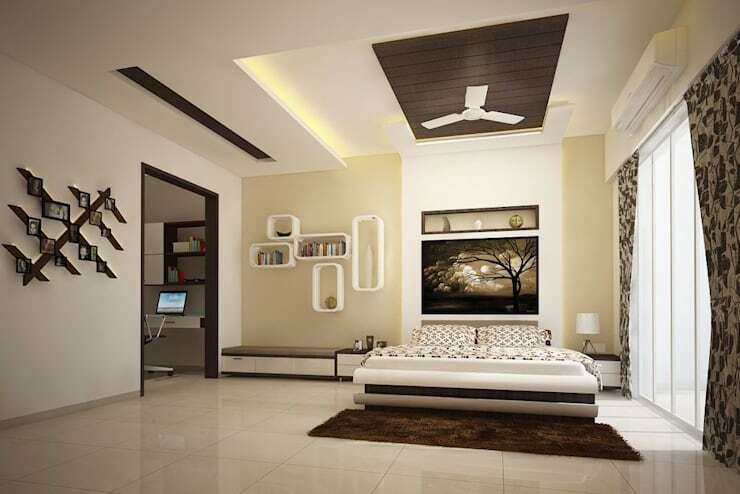 Although this room is particularly engaging, it is also minimalist in its appearance and design. 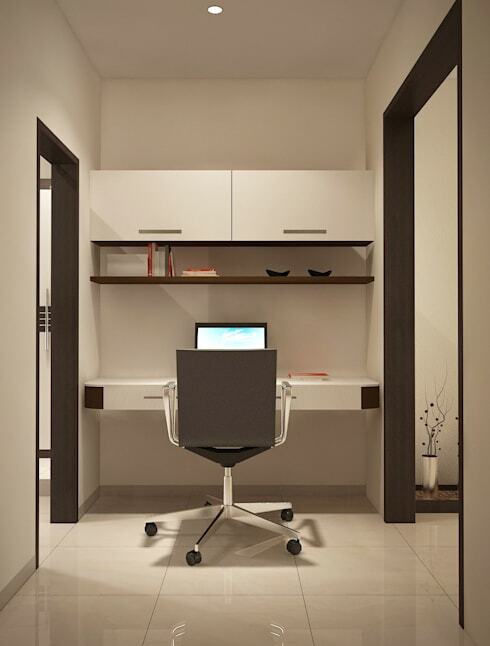 To the left we see the neat workspace, which effortlessly hides in a purpose-built nook. With almost too many features to list, we must pay particular attention to the recessed ceiling, which offers indirect light, and provides a space for the essential ceiling fan. As one final note, the light sandy colour palette is again introduced within these sleeping quarters to evoke serenity and tranquillity. To end our tour of this dwelling, we enter the study and home office nook, which could be seen in the above image of the bedroom. Larger than initially thought, this neat and tidy office space is ideal for that last minute essential work before the next morning. 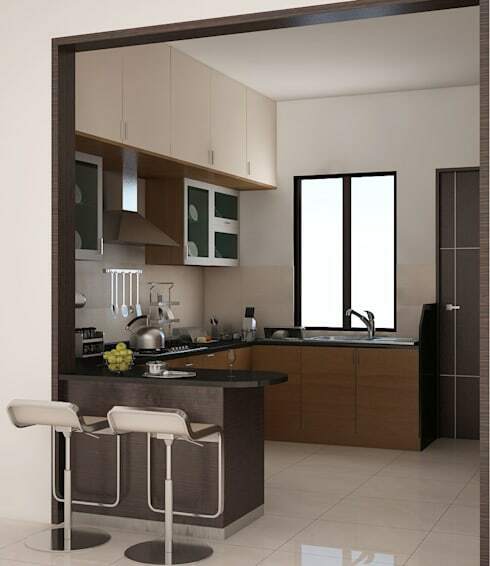 Additionally, the built-in joinery offer an orderly and organised ambience, with ample space for household necessitates. Let us know what you liked (or perhaps disliked) in the comments below!